As a full member of the Association of Mountaineering Instructors I hold the Mountaineering Instructor Award. This award relates to UK summer mountaineering and rock climbing. I began rock climbing in the Peak District in 1986 and have worked in the outdoor industry since 1989. The variety of courses offered relate to an extensive level of experience within the outdoor field, from personal rock climbing tuition to technical advice for Further Education Colleges and the Scout Association. 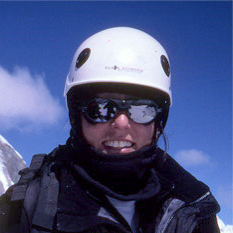 In 1993 I began high altitude mountaineering and since then have led numerous expeditions to Venuzuela, Bolivia, Peru, Ecuador, Nepal and India. I presently lead worldwide mountaineering expeditions at high altitude for Jagged Globe and Adventureworks. As well as the leadership and technical skills necessary to lead sucessful expeditions, I have in depth experience of the issues related to high altitude medicine. I maintain a high level of interest in both Avanced Medical Training and Mountain Medicine. Technical advisor for The Nottingham Climbing Centre and other smaller providers. I presently lead high altitude expeditions for Jagged Globe and Bull Precision Expeditions. I am an associate lecturer for The University of Central Lancaster.